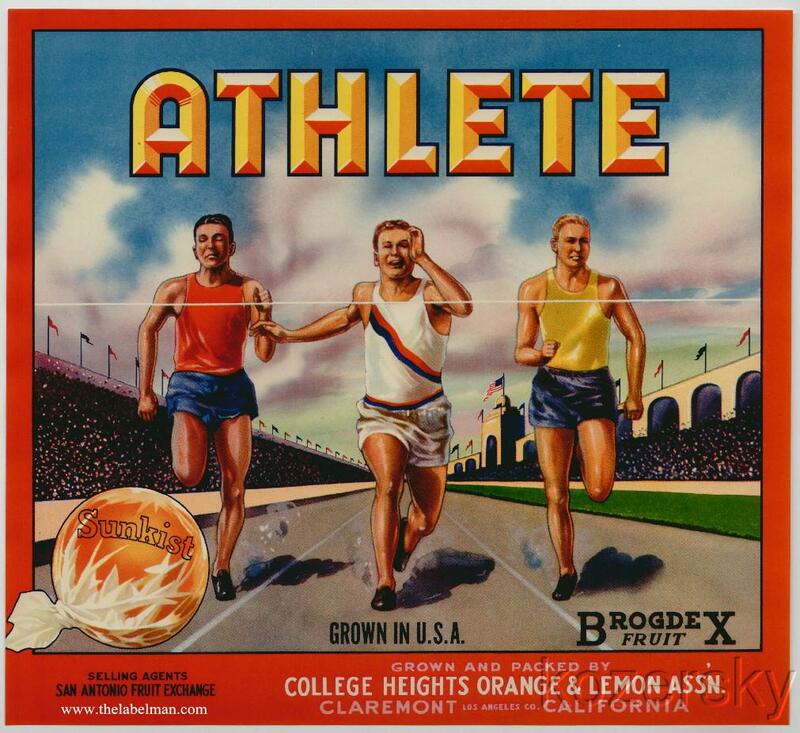 Athlete Orange Crate Label, College Heights Orange and Lemon Assn., Claremont, California. Athlete Brand Vintage Orange Crate Label. This original mint label from the 1940s measures 10x11 inches. Image of three runners racing for the finish line. College Heights Orange and Lemon Assn., Claremont, California.